The Pour Moi Knitalong is all about laying aside your many knitted gifts for others to eek out a little something for yourself. I feel like a fraud. I mostly knit pour moi. Knitting is my therapy, and part of that is trying new things without the stress of expectations. Sometimes, after I've finished something and see that it's good, I'll gift it. But I don't take custom orders- that would stress me out. It's hard to get the fit right for someone who isn't right there with you. Also, I rarely meet anyone who would care to wear custom knits. Many women I know don't even wear a sweater once a year (seriously It's April and already in the seventies and eighties here.) Occasionally, a stranger will see me knitting in a lobby and ask if I'll make them a blanket (?). I consider telling them the story of my daughter's Darcy Cardigan, from a few years ago, that is still waiting for her to sew 3 buttons on and wear. I could also explain the cartoonish "fail" music I hear in my head everytime I see it neatly folded in her closet, but just politely decline and enjoy talking with them about crafts our grandparents made instead. Honestly, I do a lot of things for others in my family and community, so I don't have a bad conscience about selfish knitting. That, along with running or walking each day, is my quiet time and valuable for keeping me revived in the other areas in which I serve. So when I knit, I makes what I likes for me. Did I mention that when I decided to knit Lady Bat for the Spring Tops, Tanks, and Tees Knitalong, my daughter requested one. Her yarn is being shipped as I type. See, not so selfish after all. 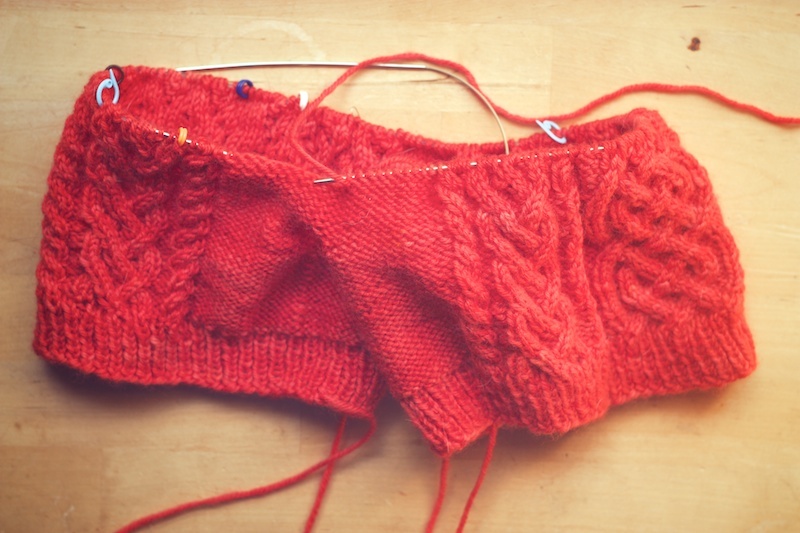 Now, about the shorts: I love the way they are knitting up. They look super tiny, but have a lot of stretch and seem to fit thus far. Of course, I haven't knitted the hip area yet, but I do have enough of this yarn to frog and knit a size large if I have too. For now, I will just trust the pattern. 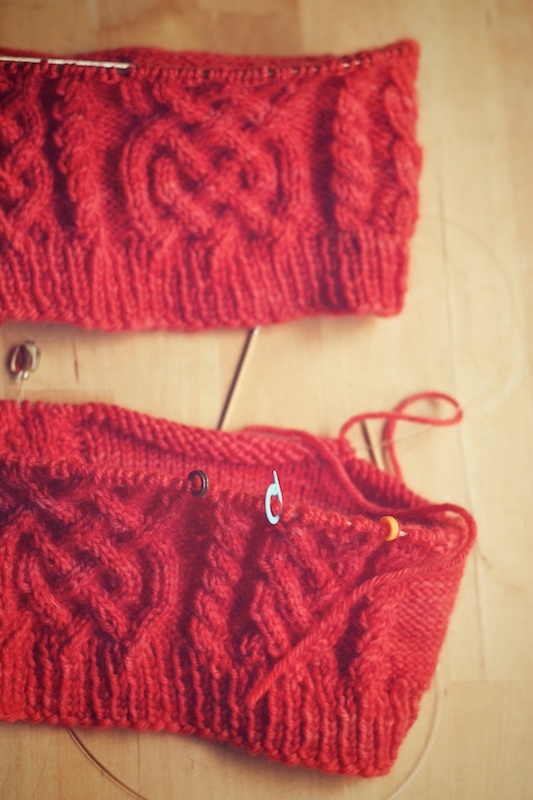 There is more in the knitted shorts vein on my Ravelry and Flickr. I love your attitude towards knitting. For me as well, it's my quiet time. 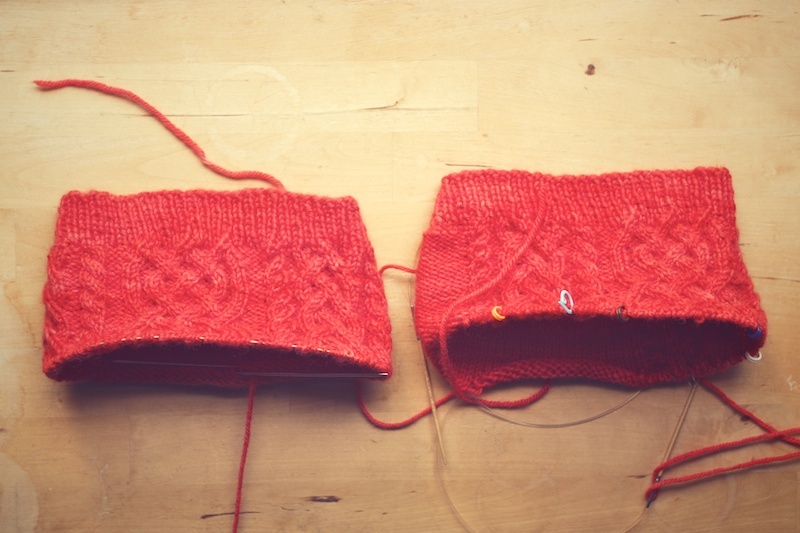 But I still feel somewhat selfish when I have knitted a few projects for myself in a row. A few of my friends have requested knits for their babies, and I am happy to oblige, but it is true that not a lot of adults appreciate the beauty of a hand-knit. Love the way the shorts are coming together! That's funny! I'm not too worried about the apparent size because I remember how small my Holla Back tank looked before seaming. Plus, there's always the blocking process. I thought I remembered you from the Downton KAL, Monica, but you may have changed your rav name since then. Anyway, thanks and I'm interested to see what you'll be knitting for spring. By the way, your Inversion Cardigan is stunning!! I still think you are so fashion forward to have chosen this pattern for your Pour Moi KAL project! They are sooooo cool. Thanks, Evelyn, but that sounds so funny to me as I sit in my pjs contemplating which workout shorts and wife beater I'll be wearing today!